It doesn’t have the money to do its job, enforcement is at a record low and it is banned from conducting any campaigns. As disillusioned Health and Safety Executive staff queue to leave, Hazards editor Rory O’Neill asks what future can there be for the beleaguered watchdog. It’s got a shrinking budget and its hands are tied. The Health and Safety Executive (HSE) has never had it so bad, and is now finalising plans to turn into a slimline pay-per-go enforcement agency, charging for everything from enforcement notices to routine advice and accident investigations. 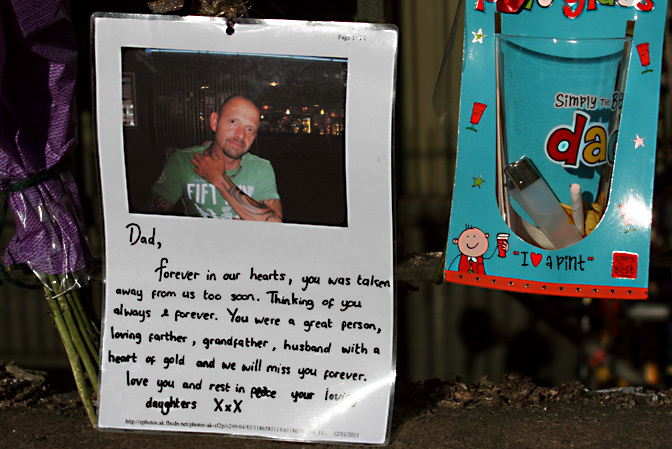 MISSING DAD The death of Mick Whinfrey, 42, left a family without a husband, a father and a grandfather. 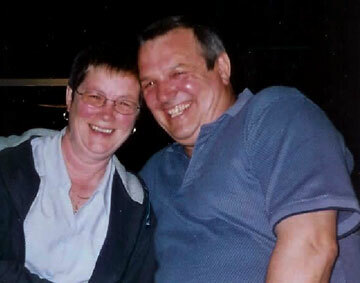 He died after a pressure vessel exploded at the recycling plant where he worked and ripped a gaping hole in the side of the plant, mangling its corrugated iron walls. With HSE slashing already rare inspections by a third, campaigners fear more families will lack the protection they need [more]. In a perverse twist, the funding-driven job losses at the already understaffed HSE can be afforded – making people redundant is an expensive business – because the watchdog’s budget for this year is stuffed with cash earmarked for life-saving safety campaigns outlawed by the government and with wages it couldn’t spend because of a government-imposed recruitment freeze. It’s not that there is fat to trim. In 1994, HSE had 4,545 staff. By April 2005, this had fallen to 3,903 (Hazards 93). Five years later, in April 2010, the combined HSE and Health and Safety Laboratory (HSL) staffing figure was 3,702. Even before the current round of redundancies, the downward trend was continuing. Figures obtained by Hazards show by December 2010, total staffing had fallen to 3,611. In January 2011, HSE said told Hazards it did not know how much further its staffing would fall because it “had not agreed detailed budget allocations”. One reason for the plummeting morale that is seeing staff rush for the door, is HSE’s strategy to replace the £84m it will lose each year from the government (Hazards 112). Instead of a rational work plan designed to minimise deaths, injuries and ill-health at work, at least some of HSE’s new priorities will follow the money. In the US and the UK health and safety regulation is under attack – business constructs spurious arguments on cost, saying safety laws are ‘job killers’. Lawmakers listen and introduce business-friendly reforms. But there is one major difference. One proposal for which it is currently awaiting the final approval of ministers is “fee for fault” charges for enforcement notices. It’s already received the nod from HSE’s parent Department for Work and Pensions and is now doing the rounds of other ministries and related committees. That’s a prospect that has never been more remote, even for the most egregious crimes. 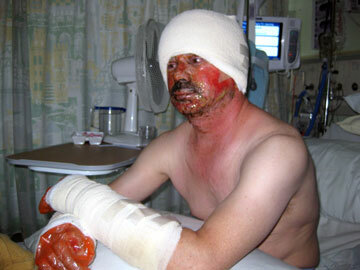 BURNING INJUSTICE Indorama Polymers (Workington) Ltd, an offshoot of a global chemical company that posted £100.7 million profits in 2009, was fined £20,000 plus £14,941.25 costs in November 2010 after welder David Lightfoot suffered severe burns in a dust explosion. Safety expert Howard Fidderman examined 110 cases where a workplace death occurred, and found only 46 resulted in a fine greater than 1 per cent of the offender’s annual profits. Writing in the January 2011 issue of Health and Safety Bulletin, he noted death fines only exceeded 1 per cent of turnover in six instances. Company directors remain unaccountable, with just 36 prosecuted for safety offences in 2009/10, out of which 27 resulted in a conviction. The new offence of corporate manslaughter – “corporate homicide” in Scotland – has to date proved a damp squib. Instead of the anticipated dozen cases a year, there has been only one since the Act came into effect on 6 April 2008, and there have been no trials involving a medium-sized or large employer. 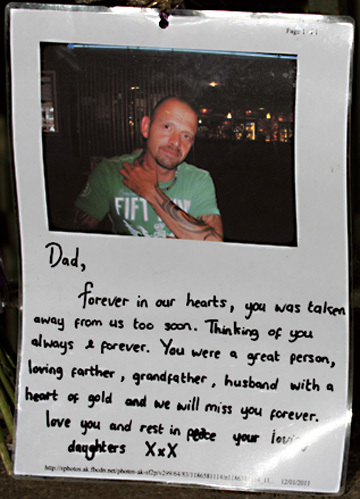 LOOSE CHANGE Principal contractor Glenmill Group was fined £1 in October 2010 after joiner Peter Walton, 55, died falling five metres from faulty scaffolding. This involves a dramatic reduction in enforcement activity which will see the vast majority of HSE-enforced workplaces exempted from any inspections. (i) Sectors which present significant risk and where in our judgment pro-active inspection remains necessary as part of the overall regulatory approach. (ii) Sectors where there remains significant risk but proactive inspection is not considered a necessary or useful component of future interventions. Overall, the number of inspections will certainly drop to below 18,500 next year and could fall to about 15,000 a year, down from over 60,000 a decade ago (Hazards 110). It is a move that has delighted health and safety minister Chris Grayling. Whitehall insiders have told Hazards he has been “crowing” in a memo to mandarins of his success in curtailing health and safety oversight. 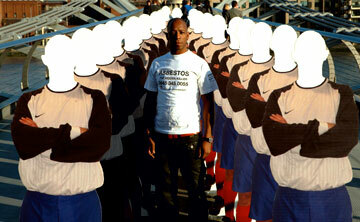 RIGHT MESS The government has slashed HSE’s budget and banned all safety campaigns, including the award-winning ‘Hidden Killer’ asbestos initiative fronted by Ian Wright. But it’s not just giving up campaigning, it’s giving up inspecting too. Even to maintain this level of activity, HSE will rely on the fee-for-fault system to boost its coffers. The HSE document sent to local authorities boss Derek Allen notes from April 2012, “cost recovery” will, with ministerial approval, mean HSE would “recover its cost where an intervention of any type (eg. inspection, investigation of incident or complaint) shows there has been a material breach of the law that warrants remedial action.” The letter proposes that local authority health and safety enforcers follow HSE’s lead. This has superficial appeal to many supporters of a more effective, punitive enforcement regime that targets bad players. But it works on the assumption there will be someone out there tracking down the rogues and bringing them to justice. HSE admits many firms presenting “significant risks” will now be exempted from all pro-active inspections. With both inspections plummeting and most workplaces only coming to HSE’s attention if they call in the watchdog themselves, there must be a concern that the threat of an open-ended charging system will discourage employers, unwilling to hand HSE a blank cheque, from reporting either accidents or injuries. It’s a very real threat. In the US, where accident reporting has immediate cost implications – workers’ compensation payments by employers are linked directly to reported accident rates – workers frequently face pressure to hide injuries or work while injured to evade reporting requirements. A 2009 study from the official Government Accountability Office (GAO) found more than two-thirds of injured or sick workers in the US fear employer discipline or even losing their jobs if their injuries are reported. The GAO survey of more than 1,000 occupational health practitioners found a third of these health professionals reported being pressured by employers to provide insufficient treatments to workers to hide or downplay work-related injuries or illnesses. More than half of the practitioners said they were pressured by an employer to downplay an injury or illness so it wouldn't be reported to the Occupational Safety and Health Administration's (OSHA) official log that tracks workplace injuries and illnesses. The injury under-reporting phenomenon is so widespread in the US it has a name - ‘Bloody pocket syndrome’. There’s scope for plenty of bloody pockets in the UK. 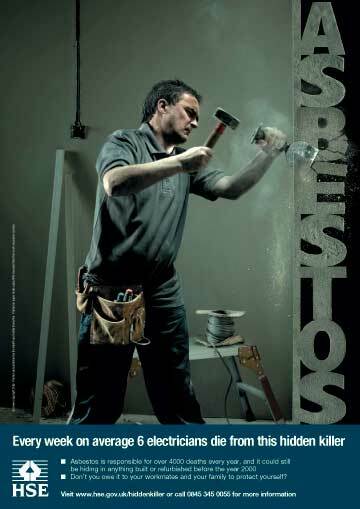 Over 600 workers lose an eye or a limb at work each year, a rate of over two a day. In the order of 25,000 suffer a reportable fracture at work each year, or over three an hour round the clock. There are way in excess of 100,000 injuries reported to HSE each year – all of which could land an employer with a hefty bill if HSE, grubbing around for make-up funds, chose to investigate them. As in the US, employers would face a real cash incentive to stay mum – and ensure their injured employees do the same. And with no inspections for the majority of firms, HSE will have little chance of discovering the safety criminals for itself. Enforcement is already in crisis. HSE prosecutions sunk to a record low in 2010, when just 735 convictions were secured (Hazards 112). Only a tiny fraction of major injuries are even investigated (Hazards 108). The future for HSE looks far from rosy. For the workforce, with the number harmed by work increasing last year, it looks bleaker still. Workers will die as a result of the ban on campaigns introduced by the government, construction union UCATT has warned. The latest phase of the high profile media campaign, fronted by celebrities including former England footballer Ian Wright, was timetabled for an October 2010 roll out, but this has been disallowed as part of the government’s clampdown on communications expenditure. UCATT says in November 2010 it had been told by HSE the campaign was “under discussion”, but has now been told by the watchdog: “There is no intention to run the Hidden Killer campaign again.” However, top HSE officials are reported to be urging work and pensions secretary Iain Duncan Smith to allow the initiative to restart. A man was killed as the result of an explosion at a UK waste recycling plant which left his best friend seriously injured. 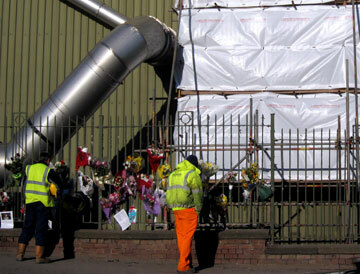 The incident at the Sterecycle plant in Rotherham occurred mid-afternoon on 11 January 2011. South Yorkshire Police said a waste incinerator exploded and ripped a gaping hole in the side of the plant. Michael Whinfrey, a 42-year-old father of three, was airlifted to hospital in Leeds where he later died. Peter Lindon Davis, 51, was taken to Sheffield’s Northern General Hospital with serious, “potentially life-changing”, head and body injuries. Both men had been trapped by the explosion, and had to be freed by firefighters. The company, whose Rotherham plant is in the middle of a rapid expansion, was voted ‘one to watch’ at the ‘clean and green’ Cleantech industry awards in November 2010. Sterecycle’s website notes: “Design and construction works are already underway to increase the capacity of the Rotherham plant to 240,000 tonnes per annum by mid 2011.” In November 2010, its capacity stood at 100,000 tonnes. The case is the latest to highlight potential risks to workers in ‘green’ industries. Latest statistics released by HSE in November 2010 confirmed the combined fatal and major injury rate in waste and recycling is still more than four times the average across all industries. A total of 416 out of every 100,000 waste and recycling employees suffered a fatal or major injury at work in 2009/10 compared with the all industry average rate of 102 per 100,000, the safety watchdog said. In the US and the UK health and safety regulation is under attack – business constructs spurious arguments on cost, saying safety laws are ‘job killers’. Lawmakers listen and introduce business-friendly reforms. But there is one major difference. In the US, the head of the Occupational Safety and Health Administration is speaking out in defence of regulation and enforcement. In the UK, the head of the Health and Safety Executive is introducing without a murmur of dissent damaging measures demanded by government. 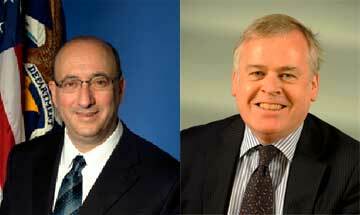 DIFFERENT ANIMALS OSHA head David Michaels (left) has defended his watchdog’s enforcement role; HSE head Geoffrey Podger has been the government’s tame lapdog. David Michaels, assistant secretary of labor for the US Department of Labor's Occupational Safety and Health Administration (OSHA), said in a 15 February 2011 statement: “Despite concerns about the effect of regulation on American business, there is clear evidence that OSHA's commonsense regulations have made working conditions in this country today far safer than 40 years ago when the agency was created, while at the same time protecting American jobs. Speaking ahead of a Republican-driven formal government committee hearing ‘Investigating OSHA's regulatory agenda and its impact on job creation’, Dr Michaels said: “Many OSHA standards cost little and easily can be adopted by employers with nominal effect on the bottom line. OSHA, by law and by practice, always looks at both the overall cost of compliance with a proposed regulation and at the expected benefits. In the UK, the Health and Safety Executive (HSE) has scurried to introduce regulatory measures and cutbacks demanded by the Conservative-led government regardless of the safety consequences and in some cases in contravention of its legal duties. A fundraising plan includes a ‘fee for fault’ system that could see employers charged for any HSE cost incurred investigating accidents, complaints or other activity arising from a breach of a safety duty by employers. It’s an anti-whistleblowers’ charter. And when HSE was instructed by the government to consult on changing the legal accident reporting regime, HSE jumped and started a consultation on a measure that could reduce the officially reported accident toll by 30 per cent overnight. This would be in breach of European law, which requires all workplace injuries where someone can’t do their normal job for more than three days to be reported. The proposed system would replace this in the UK’s Reporting of Injuries, Diseases and Dangerous Occurrences Regulations 1995 (RIDDOR) with a seven days plus system. But it was not just that HSE did the government’s bidding – it did it in an extremely partial fashion. The official consultation process, which started on 31 January 2011 and finishes on 9 May 2011, includes an impact assessment that excludes explicitly any impact on safety or on the burden borne by families, the community and the public purse. The entire cost estimates throughout the document are based on this type of administrative change. There is not even an attempt in the entire document to assess the value of accident reporting – in terms of helping identify problems in workplaces or trends to be addressed at a policy level, in preventing further injuries or work-related ill-health or in reducing overall work-related morbidity and mortality and related welfare and health service costs. More shamefully, there is no recognition at all that the figures recorded under RIDDOR each reflect a worker who suffered injury or pain – which came at a cost which could include long-term disability, loss of function and income and a knock-on effect to friends, family and society as a whole. These are entirely quantifiable but ignored cost items in the HSE consultation. With funding cuts now meaning HSE intends from this year to exclude the great majority of business from any prospect of an inspection, we could see more injuries, fewer reports and little prospect of enforcement or justice.